This is by far the most raised questions on camera gear forums. What gear should I bring for my vacation to …? Why is that? I guess it is because most of us have way too much cameras and lenses. What cameras and lenses to pack is a luxury problem. If you only have an entry level DSLR plus the kit lens that came with the camera it is simple. You simply pack your camera, make sure that the card is not left behind in the card-reader of your computer and just don’t forget to bring your battery charger. Life can be simple. But what’s with the unfortunate fortunate of us who own a couple of cameras and a dozen or even more lenses? What should we do? Of course we can’t ask our wives. They might be understanding but they don’t understand. Same goes with friends who don’t share our enthusiasm. It’s a desperate situation and that’s why I wrote The Ultimate What To Bring Guide. Why I think I’m entitled to write such a guide? I have traveled and still travel a lot and I have made every single mistake possible so I have gained a lot of wisdom. I gained a lot of wisdom doesn’t necessarily mean that I have become a wise guy. The image above shows the lenses I took on my last trip to the USA this autumn. While I will focus on Fuji X gear it might be useful for you even if you shoot something else. If you still shoot with full frame gear you could switch to Fuji X to save some weight. Just saying! If you are unfortunate enough to have more camera gear that the strongest man can lift you have a problem. Because of the ever increasing restrictions regarding cabin luggage you can either leave things behind or you have to check in some of the heavier lenses. But do you really want to check in your most precious gear? If it doesn’t get stolen or simply lost your gear gets at least seriously tested. Check in luggage will be pushed, kicked around and dropped. You might as well set your lenses on fire yourself. So we come to the first rule. Usually size isn’t the issue here but weight. What is allowed depends on your airline and of course on the class of your ticket. But let’s assume that you have spent all your money on gear so you are traveling economy. Acceptable hand luggage weight varies in between 5 to 12kg depending on the airline but in most cases it is something around 7-8kg. I once traveled to Canada with a big Lowe Pro backpack full of gear weighing around 18kg plus a 4kg tripod that I packed into my main luggage. But that time is long gone. At least if you travel with European airlines. Air India is still different. When I traveled back from India I helped a nice, small Indian lady with her hand luggage. It wasn’t very big but it was extremely heavy. So while I was nearly breaking my back lifting this thing into the overhead compartment I said:”What’s in this bag? Your husband?” Sometimes my mouth is faster than my brain. Luckily she laughed and smiled. Obviously she shared my sense of humour or she was just the most cold blooded killer on the planet. But to keep a long story short: To avoid stress simply stay within the limits which are mentioned on the airline”s website and on your ticket. Let’s start with the obvious. 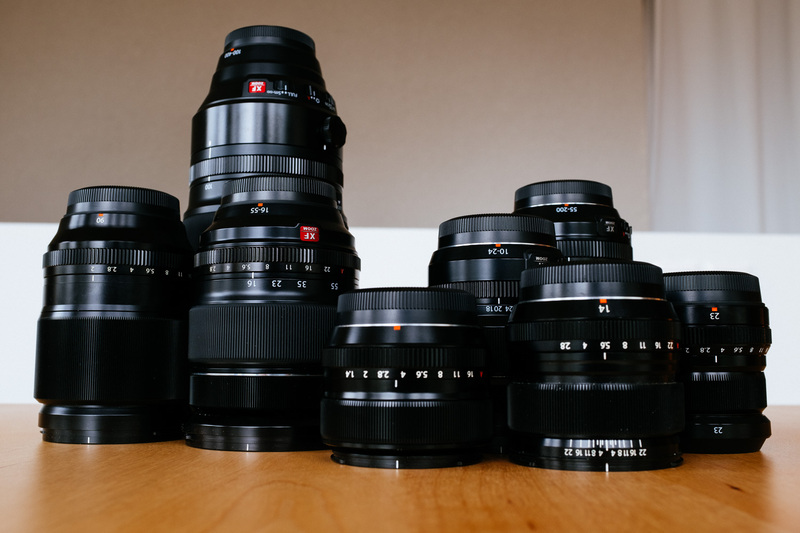 If you have a lot of gear chances are high that you have lenses that practically do the same. I own two 23mm lenses: one f1.4 and one f2.0. Of course the obvious thing to do is to leave one at home. Well the most obvious thing would be to sell one of them but we don’t go there! Same is valid for zooms of course. You own a 50-140 but also still the 55-200. Leave one behind. Which one depends on what you plan to shoot and the way you plan to travel. I would always opt for the better lens but of course if I would go on a trekking tour in Nepal I would take the lighter lens. rule 3: Don’t go crazy! People like us who own way too many cameras and lenses sometimes break down and get completely nuts. 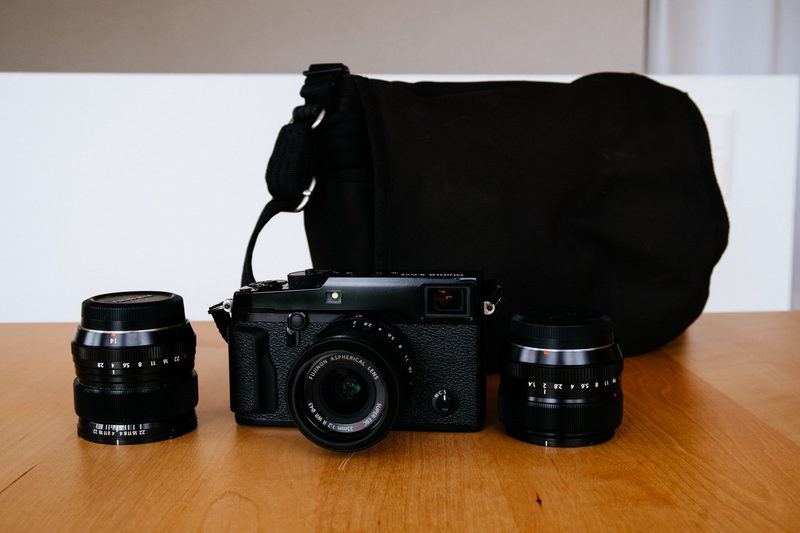 Instead of taking their gear on vacation they leave everything behind and just take their Fuji X100F, claiming it was the best thing they ever did. Of course that’s rubbish! Don’t try to cheat yourself. There should be other ways to impress your wife. Don’t get me wrong. I have an X100F (of course) and I love it to pieces but to go on a serious vacation just with the X100F – no way! What’s next? Vegan Sushi? So what to do? Here is a golden advice: Bring a second camera bag. On vacation I usually travel with a photo back bag and additionally I also take my small ThinkTank Retrospective 5 shoulder bag with me. I use the camera rucksack for the hikes and the shoulder bag in cities and in the evening when I take only the camera plus one or two lenses. The rest stays in the other camera back bag either in the car or in the hotel room. During the flight I keep my small shoulder bag under my seat so that I have access to my passport, smartphones, headphone case, hankies and last but not least to my camera in case there is a beautiful sunset. It also helps to keep the weight of my cabin luggage (the back bag) down. While they always ask me to put the camera rucksack on the scale they have never asked my to do so with my small, black shoulder bag. Of course it’s nice to bring some special lenses like i.e. an XF 80/2.8 Macro but you should always cover the basics first. When landscape photography is a substantial part of the trip that means to take a wide angle, a standard zoom and a tele zoom. You should also always pack a small and fast prime for the evenings. Today there is OIS and IBIS but the only thing that get’s you a decent shot of a singer in a dark pub still is a lens with a fast aperture. With the basics covered and still some leeway before you reach the weight limit (which is at least 2 to 3 kgs higher because of the trick you learned in rule 4 you might ask yourself what else to bring. Now that of course depends on your shooting style and the lenses you have. Let’s say that you travel to a place where there is the chance to shoot some wild or sea-life you would be mad to leave your XF 100-400 OIS at home. This is the best chance to give it some serious use beside shooting birds in your backyard or to take it to the zoo. The XF 90/2.0 WR is a great lens for portraits and of course if you go to India you would make a terrible mistake to leave this lens at home. But it’s also a great lens to shoot full body shots on the beach. Shot wide open it can give you the look that you get with a 70-200/2.8 on a FF camera. If you plan to go to a place where the food you eat plays a major role you might take the XF 16/1.4 WR to get the most out of those close up wide angle table shots. Of course if your are a master in convincing yourself that you simply need all your lenses because there is an application for all of them you will end up with what I call “The Greg”. But don’t worry if you are a Greg – there is still hope and rule number 7. If you bring a lot of stuff it doesn’t mean that you have to carry it around all the time. Leave it in your hotel room or in your car. There is no need to worry. I do this all the time and I never ever missed a thing when I returned back to my hotel or car. I admit that I felt a little uncomfortable when I handed over the keys of my rental car in that suspicious looking parking lot in downtown Los Angeles. I left the camera rucksack with all my lenses (except the ones I took with me) behind the driver seat. The first couple of minutes I was unsure what would be more painful for me: The loss of almost all my camera gear or the embarrassment to explain to Alamo how I lost their car. Of course car and camera gear was still there when we returned about two hours later. I guess I need to be more relaxed. Speaking of: Don’t put your lenses in the safe in your hotel room if there is one. There is a high chance that you simply forget it there. Also make sure that you check all the compartments and special storage places of your rental car before you return it. 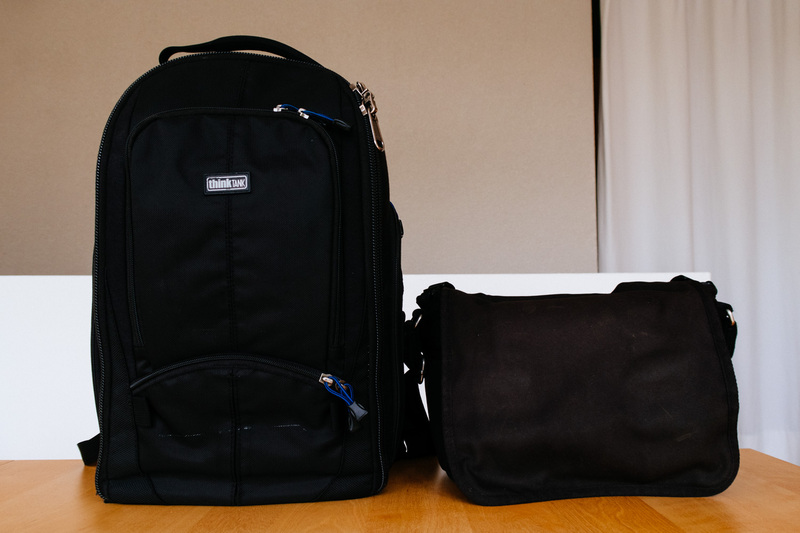 Don’t feel guilty to bring a lot of camera gear with you on vacation. At the end it is one of your favourite hobbies and a trip to a foreign place is the perfect occasion to use all the stuff that otherwise just sits around in a cupboard most of the time. But try to stay within reasonable limits and most important don’t forget to enjoy the trip and make sure that others traveling with you enjoy it too. Have a good trip! A: A family vacation to Disneyland or similar: I don’t have kids and I have never been to Disneyland but I suggest to keep things simple. There is no time to switch lenses unless you want to annoy everybody. I recommend a single lens solution: XF 16-55/2.8. The lens is wide enough to allow some dramatic angles on the rides and fast enough to give some shallow DOF for portraits. B: A trip to Europe with main focus on cities: You will walk a lot so you better think twice about what you are taking with you. I real wide angle is a must so you could either go with the XF 10-24 OIS plus XF 16-55/2.8 or I would prefer something smaller and lighter and would go with XF14/2.8, XF 23/2 and XF 35/1.4. C: A big vacation in the USA, Canada, Scotland, … a trip where landscape, seascapes and wild life plays a major part. I would take XF 10-24 OIS, XF 16-55/2.8 and XF 100-400 OIS plus one or two primes when I want to have a smaller camera in the evening. D: A trip to Asia or India: A strong focus will be on cities and the climate will be challenging. You need to pack carefully to make sure that your equipment will not become a burden for you. One option would be to take the XF 16-55/2.8 plus the XF 90/2 for portraits and compressed landscapes. The problem here is that 16mm is not wide enough. That’s why I would choose XF 14/2.8, XF 23/2 and XF 35/1.4 but I would add the 90/2 for portraits or the XF 60/2.4 to save some weight. F: A hiking or bike trip: Now weight is very crucial and you need to scarify versatility to save weight. I would either take nothing but the XF 16-55/2.8 or if it is somewhere special like Nepal or similar I would also take the XF14/2.8 for cities and interiors plus either XF 60/2.4 or an XF 90/2 for portraits. The Ultimate What To Bring Guide posted on Little Big Travelling Camera on October 26, 2018 11:53 am .